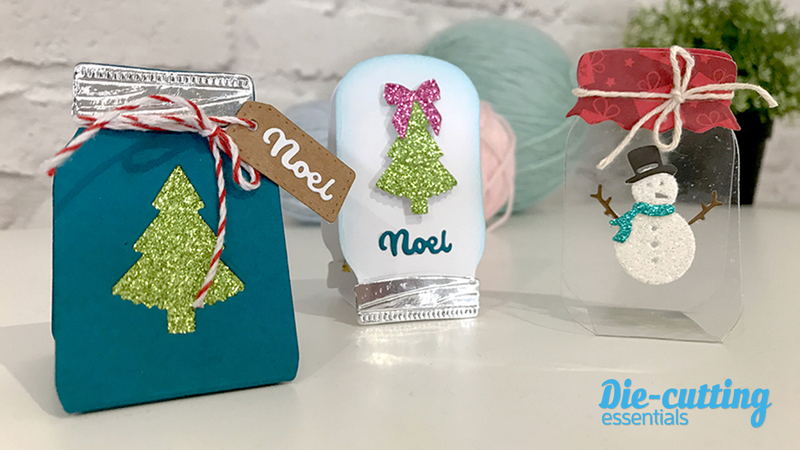 Die-cutting Essentials 43 comes with this enchanting Christmas Treats 19-piece die set from Card Making Magic. You can create some really cute cards with this magazine gift set. But don’t restrict yourself to just card making! We’ve taken the jar die to create partially die-cut mason jar treat holders. They’re perfect to gift some biscuits, treats, washi tape, or to be used as a (battery-operated) votive holder. The technique is easy and can be applied in various ways to create these adorable self-standing mason jar treat holders. Here’s a side-view of the treat jars. You can easily gift a roll of washi tape to your crafty friends. These would also make cute placeholders at your Christmas dinner table. Just imagine the adorable possibilities!